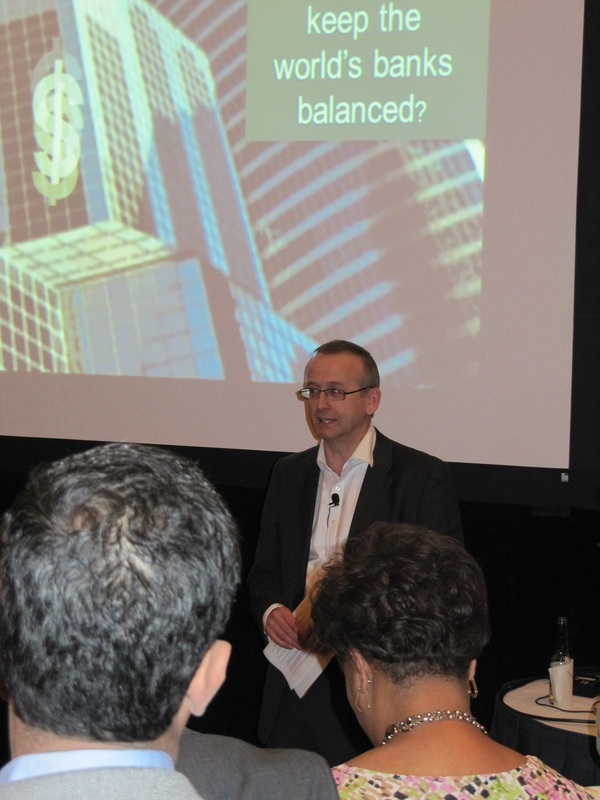 There have been quite a number of events throughout 2018 that have had IBM MQ content delivered at them. I hope you were able to attend at least one. The presentation material is online for many of these events, and download links are shown below where we are aware of them. Here’s to another 25 years and many more birthday cakes! As we approach the date for MQ’s 25th birthday at the end of this month, I want to provide you with some nostalgia from earlier birthday parties as MQ was growing up. I hope some of you recognise the parties that you attended, what fun we had. 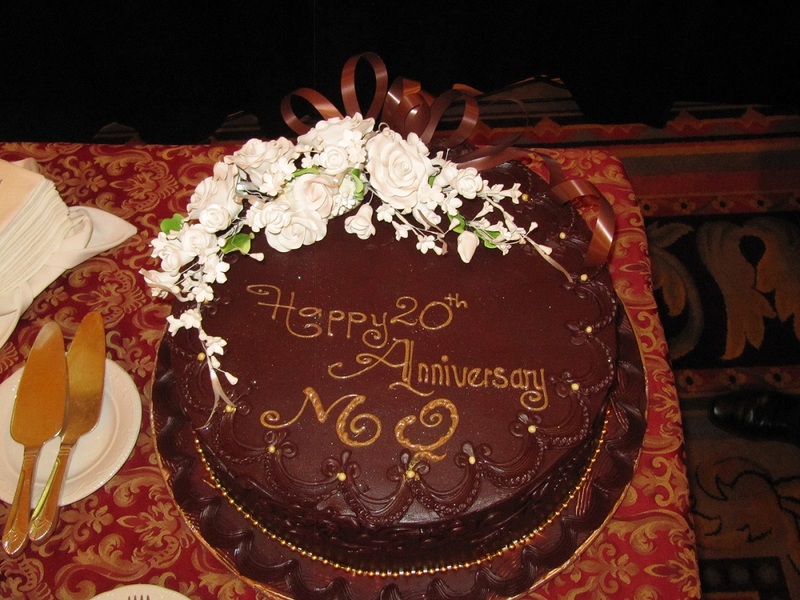 Here are a few photos from MQ’s 20th Birthday Party. 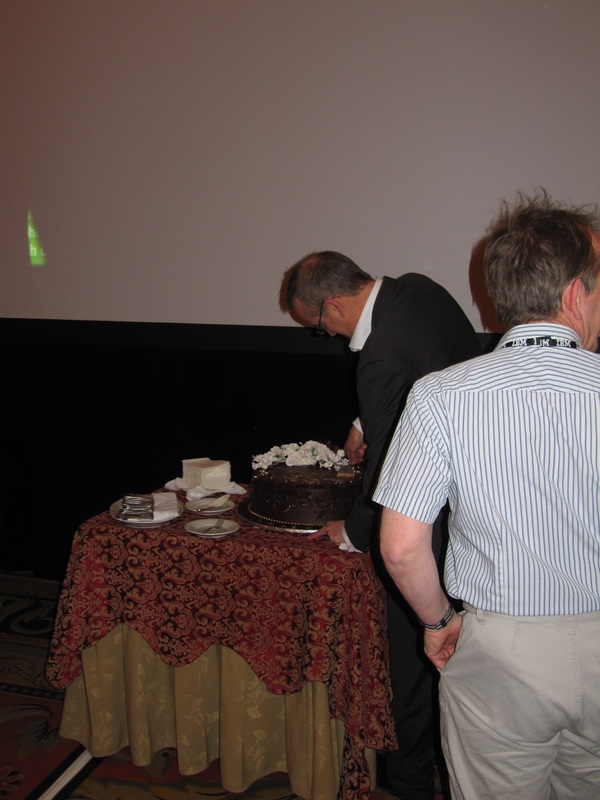 The celebration for MQ’s 20th birthday was held at the IMPACT conference in Las Vegas on 1st May 2013. There was an evening drink reception with Hor D’Oeuvres and of course a birthday cake! 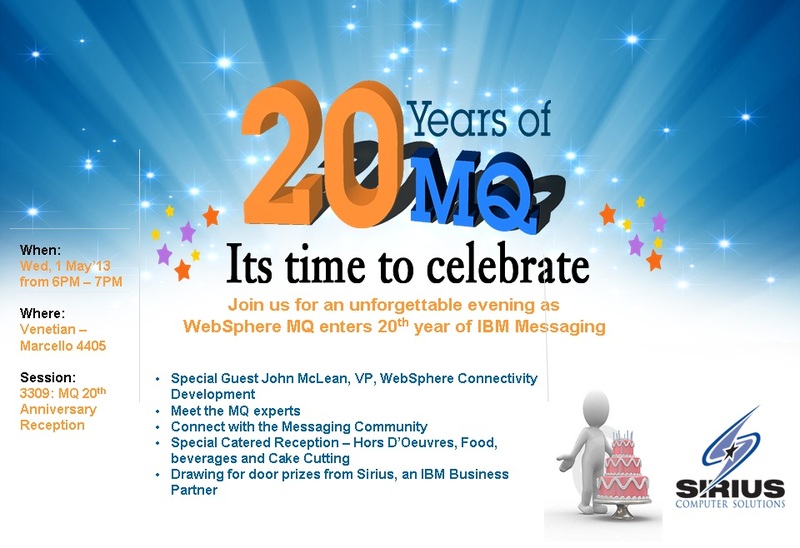 John McLean, who was at that time VP for WebSphere Connectivity Development, gave a speech about the importance of MQ and wishing MQ a Happy Birthday; then he cut the delicious looking chocolate cake. Were you there? Did you help celebrate MQ’s last major milestone?